The largest cargo airplane today is the Antonov An-225 cargo jet. It has six engines and is capable of carrying 559,577 pounds. It also holds the record for airlifting the largest payload. The largest passenger airplane today is the Airbus A380, which can hold 532 seated passengers. The average 747 airplane has between 150 and 175 miles of electrical wiring running through it. In the United States there are approximately 30,000 flights taking off every day. There are approximately 2 million passengers boarding these flights on a daily basis. Airplane travel is safer than ground travel. It is estimated that approximately 95% of those involved in airplane crashes survive. People sitting in the tail end have an estimated 40% higher chance of survival if a crash occurs. The first woman to receive her pilot's license was Harriet Quimby. She received her license in 1911. Harriet was also the first female pilot to cross the English Channel in an aircraft. The Concorde was a commercial aircraft, and one of only two capable of supersonic flight. It could travel from Paris to New York in 3.5 hours. Most flights took 8 hours to cover the same distance. Some military and experimental aircraft are capable of breaking the sound barrier by traveling faster than the speed of sound. Sound travels at 768 miles per hour. Bats, birds, and insects are the only living creatures that are capable of powered flight. Flying fish and flying squirrels can glide, but this is not real flight. The long thin section of the airplane is called the fuselage. Pilots sit in the cockpit which is located at the front of the airplane, in front of the fuselage. The shape of an airplane wing is called an airfoil. It is designed to provide lift for the airplane as it is propelled through the air. Orville and Wilbur Wright are commonly referred to as the Wright Brothers. They are credited with the first successful airplane design and flight. Although it is the wings that keep the airplane in the air it is the lift, thrust, drag and weight that are responsible for flight. 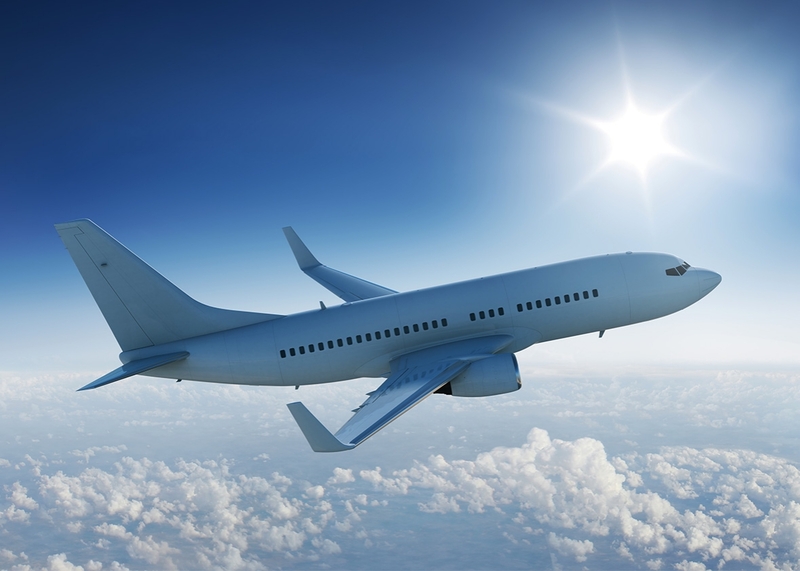 It is estimated that a human loses approximately 1.5 quarts of water during a three-hour flight.